Experience a true working partnership with man’s best friend. 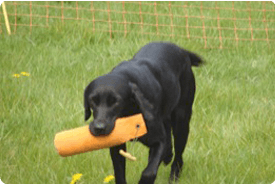 Experienced, professional trainers bring a range of breeds such as Labradors, Spaniels, Pointers and Retrievers, along with puppies whenever possible. 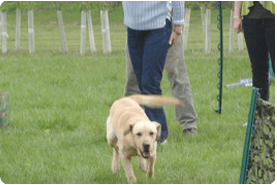 Guests have close contact with the friendly and approachable dogs, and learn about and participate in training methods from simple obedience to challenging retrieves. 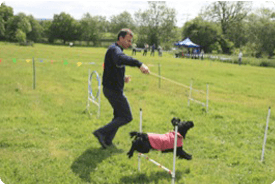 There is also a complex agility course to be completed as a team relay against the clock. Always a popular part of the Country Pursuits event.